During the night of Wednesday 14th June 2017 a fire developed in Grenfell Tower, a 24-storey residential block in North Kensington, London. The building was quickly engulfed by the flames and within 24 hours it was a burnt-out wreck. At the time of writing, the death toll has not been established, but it is probably between 70 and 90 people. Many of them were trapped on upper floors by the fast rising flames. The emergency response was massive and extremely rapid. This was only the third 40-engine fire response since the 1960s. It was the first time for many years that more than 100 firemen were committed to a highly dangerous environment. Despite their professionalism and heroism, at that point no fire-fighting operation could have stopped tragedy from unfolding. It is a principle of the construction of tall buildings that in the event of damage to one floor progressive collapse should not happen. This principle was consolidated after a gas explosion in 1968 at Ronan Point, a 22-storey residential block in east London, led to the domino-like collapse of an entire corner of the building. In this case, the lesson was taken on board and governed practice. Another well-known principle is that fire should not be able to leap from floor to floor and thus climb the building. The speed and ferocity with which it did so at Grenfell Tower were quite extraordinary. Here, the lesson of past events was not transformed into safer practice. The building lacked a sprinkler system (whose installation would have cost less than 2.5 per cent of the cost of the renovations that took place over the period 2014-2016). Instead, for insulation purposes, the building was clad with panels that were not fire resistant, and the question now arises as to whether the building codes were observed, or whether they were at fault. 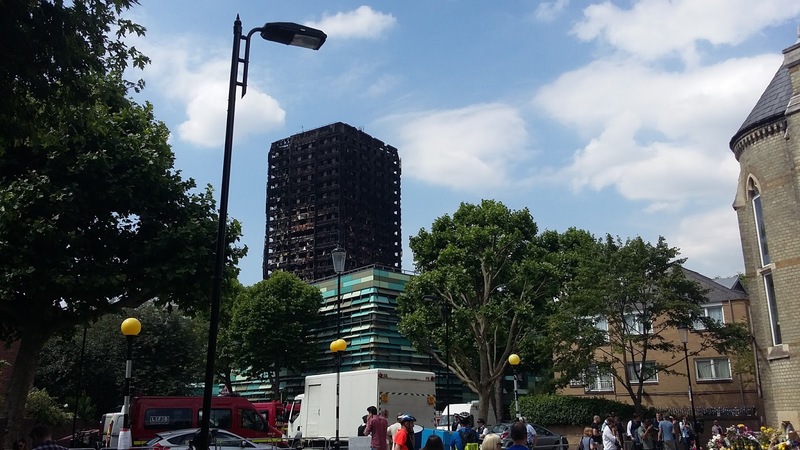 A further element of the Grenfell Tower disaster is that it exposed the gap in living conditions between wealthy and poor residents. The location of the tower, the Royal Borough of Kensington and Chelsea, is the wealthiest residential district in the United Kingdom, with the highest property prices. The northern part of the borough presents an entirely different picture. In fact, it is one of the most deprived enclaves of London and the United Kingdom. It is evident that the resources of the borough have not been channelled into making living conditions safe for the residents. The contrast between extreme wealth and relative poverty in the same local district is a salutary reminder of socio-economic conditions in 2017 and an illustration of the consequences of almost half a century of the divergence of living standards between rich and poor. 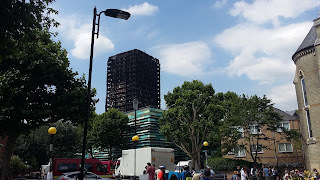 In the days that followed the fire there was much debate about the scope and quality of the response, about the division and assumption of responsibilities and about the fact that the Grenfell Residents' Association had spent four years warning the building's owner and operator about fire risks. The neo-liberal model of disasters suggests that they are often used as a means of consolidating power and exploiting the poor and needy (Klein 2008, Loewenstein 2015). Here is a case which illustrates neoliberalism in its other guise, in which the leaders and arbiters of society care very little or not at all about the conditions of risk under which the poor live. The Royal Borough of Kensington and Chelsea is the richest local authority in Britain: why could it not support its own residents, and why did it condemn them to live in patently dangerous conditions? The answers to these questions lie in political priorities and how they are formulated, marketed and supported. Klein, N. 2008. The Shock Doctrine: The Rise of Disaster Capitalism. Penguin, Harmondsworth, 576 pp. Loewenstein, A. 2015. Disaster Capitalism: Making a Killing Out of Catastrophe. Verso Books, London, 376 pp.